Acharya Priti Bhargava’s Pooja has miraculous powers to mend any “Relationship.- Kavita Banerjee, Kolkata, India - a satisfied client. Happy relationships are not some accidental result of your "lucky stars." They are nurtured each and every day through love, wholesome living and wise efforts. 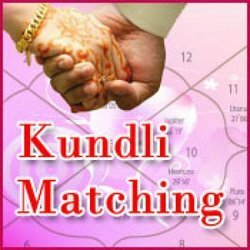 Budhaditya Sastri provide credible solutions bestowed by Astrology service he is specialized in Finance & Marriage Specialist. Diverse astrological solutions are given by the astrologer Budhaditya Sastri, that a combination of calculation & remedies that is a new invented method of calculating solutions for a problem. Lal Kitab (Lal Qitab) is unique in field of vedic astrology because for the first time a book explained how certain planetary positions in one's horoscope should also reflect in the lines of his palm. In other word the book is on astro-palmistry, that is, it has mixed the two different arts of Palmistry and Jyotisha a.k.a. - Vedic Astrology – The stars and planets staying light years away from us have immense influence on our lives. The planetary position during the time of our birth determines the course of our lives. This is an ancient science and is a tried and tested method over the times. Astrology is the study of the movements and relative positions of celestial objects as a means for divining information about human affairs and terrestrial events. On the basis of horoscope chart reading, easy, reliable and time tested remedies to reprogram destiny of a person are advised.